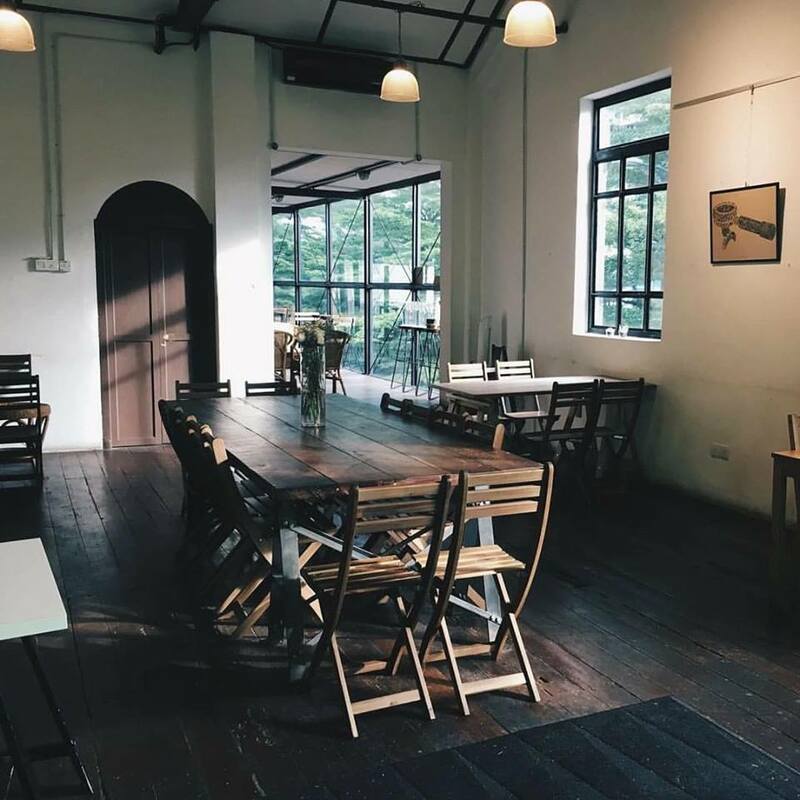 Originated from a space that used to rent movies and VCRs, VCR Cafe Kuala Lumpur is a refurbished antique corner-lot building that turned into one of the most popular cafes in Kuala Lumpur. The stunning-looking eatery is painted all black on the exterior making it unique and appealing for people who passes by. The interior is beautifully designed with rustic elements, high ceiling, and natural lighting. 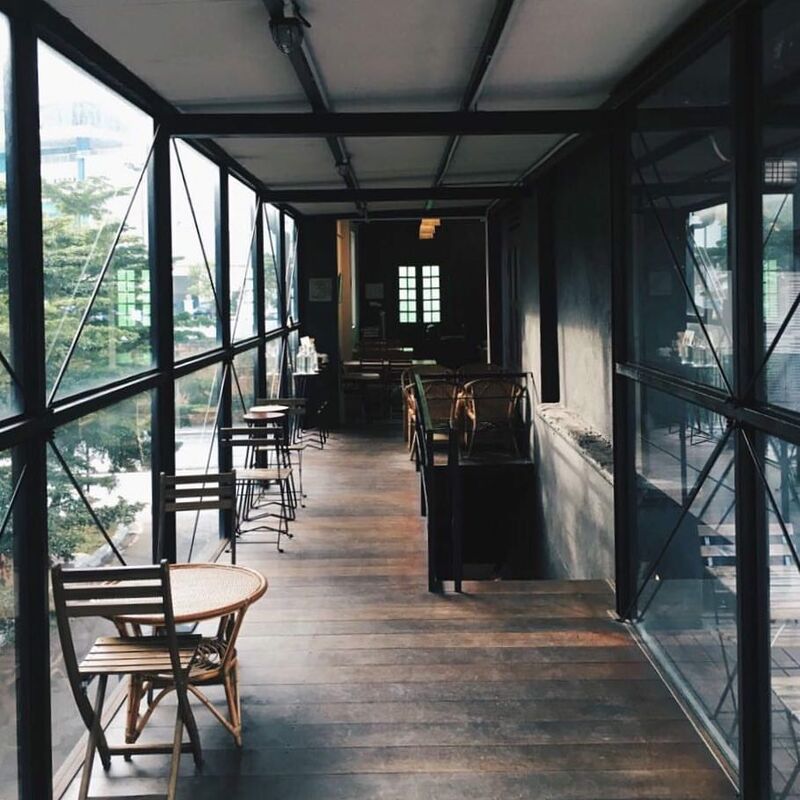 On the first floor, there is a cosy and calming space with rattan chairs furniture and large windows enabling you to view the lovely green scenery of the calm neighbourhood. The local residents love coming by the place to enjoy their substantial series of coffee from Coffex and Artisan beans, and unique blends, along with the perfect brunch meal. The main attraction of VCR is their nicely brewed coffee. The classics like long black, cappuccino, and flat white has always been the crowds pick, but the brew of Tanzanian Karatu coffee beans is highly recommended. Even the hot chocolate served here is made using the quality Valrhona cocoa. For brunch, patrons love their French toast that is served with berries compote, mocha sauce, chocolate biscuit crumble, pumpkin seed, and a scoop of espresso ice cream. Another popular brunch dish is the fluffy potato waffle which consist of mushrooms, chervil, and perfectly poached eggs. Apart from that, diners can also enjoy the VCR big breakfast that comes in a large portion that can feed two hungry tummies. The baked eggs is also another recommended cuisine for those who wants something different. It doesn’t matter if you want to visit the place for the coffee, the brunch menu, or even to enjoy the fast Wi-Fi, everything here is just perfectly put in every way.